Breakfast, lunch & dinner included. 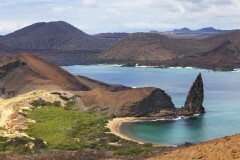 Depart Galápagos this morning and fly to Lima. On arrival, you will be transferred to the conveniently located Wyndham Costa del Sol Lima airport hotel for an overnight stay. Hike to the Sun Gate this morning, the ancient final checkpoint to Machu Picchu, and watch day break over the sacred ruins. The morning is free to explore Machu Picchu on your own or with your guide. 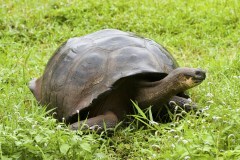 After a train and bus ride, visit Awanacancha, where llamas, alpacas, and vicuñas are bred. En route to Cusco, we’ll stop at Plaza San Cristobal for photos, offering sweeping views of the colonial part of Cusco. Check into the Belmond Monasterio Hotel for two nights. 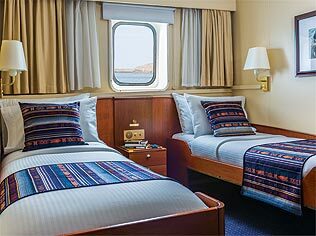 Cabins feature two lower single beds, a writing desk, and two portholes. Zodiac boarding for quick disembarkation takes place on this deck, and there’s a small Internet café. Every cabin aboard also has Wi-Fi. Cabins have two lower single beds and a writing desk. 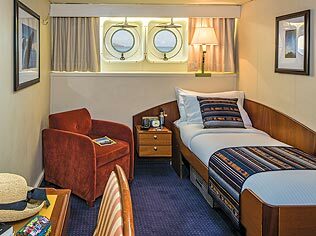 Upper Deck cabins have large windows and Main Deck cabins have two portholes. 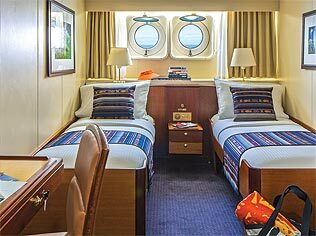 This spacious cabin comfortably accommodates two or three people if desired with two lower beds, at least one sitting chair, a writing desk, and two portholes. 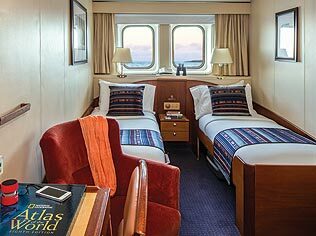 Conveniently located cabins feature two lower single beds, a writing desk, and large windows. The dining room accommodates all guests at once for a single seating. These are the finest accommodations aboard. Suites have separate sleeping and sitting areas, large windows, and a convertible sofa to accommodate a third person. The dining room accommodates all guests at once for a single seating. 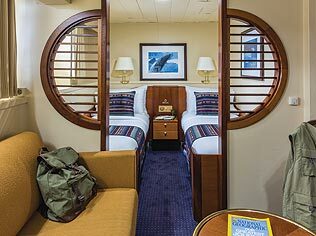 Sole occupancy cabins have at least one lower single bed, a writing desk, and a porthole. Zodiac boarding for quick disembarkation takes place on this deck, and there’s a small Internet café. Every cabin aboard also has Wi-Fi. 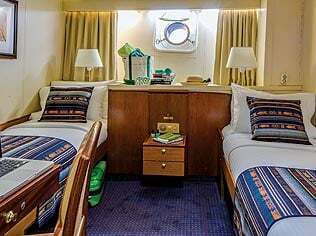 This sole occupancy cabins has a lower single bed and one porthole. Zodiac boarding for quick disembarkation takes place on this deck, and there’s a small Internet café. Every cabin aboard also has Wi-Fi. 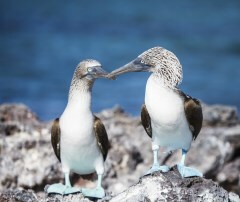 A classic expedition ship, this 96-guest vessel offers the benefit of more naturalists, an ROV for undersea exploration, a glass-bottom boat, and a floating massage platform. 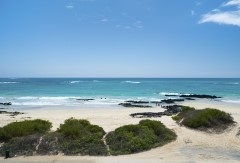 Gracious, world-traveled, and much-loved by past guests, Endeavour has a stately air and a casual, contemporary spirit. Kids delight in her expansiveness and sheer number of places to explore.